The demand for IT professionals is higher than ever, and having a coveted CompTIA certification on your resume is the golden ticket to landing a high paying IT job. 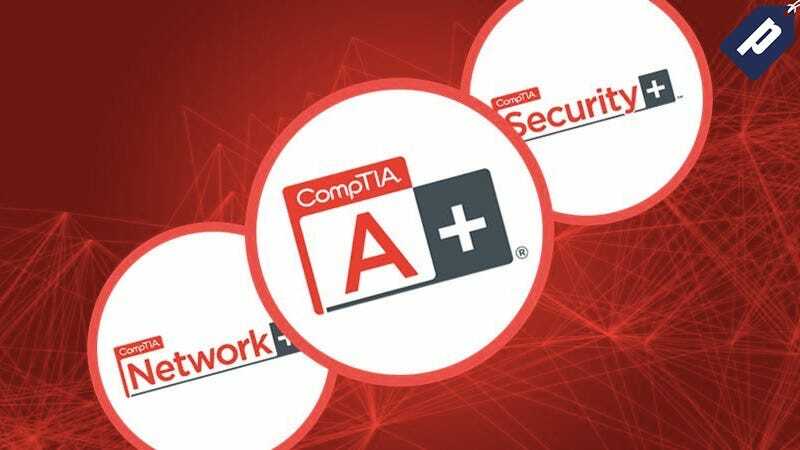 This CompTIA-IT Certification Training Bundle will help you ace all the CompTIA exams, and Lifehacker readers can get it today for just $59 - over 90% off MSRP. Get your best chance at passing exams—98.6% of students pass! Jump into a reliable and flourishing career with a stamp of approval from CompTIA, the highly-acclaimed IT industry association. 86% of hiring managers say that IT certifications are of high priority, so if you’re serious about landing a high paying IT job, this is a must-have bundle. The combined retail value of this bundle is over $4,000, but Lifehacker readers can get it today for just $59. Hit the link below to learn more.